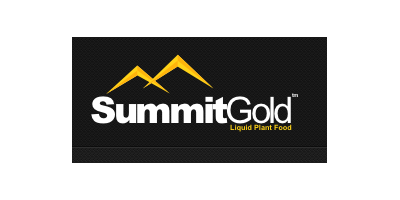 At SummitGold, we are dedicated to increasing production, quality, and profitability of growers around the country by providing premium biological and specialty fertilizer products. Our Approach: Our business focus is foremost on establishing a soil nutrient balance by combining both a biological and traditional approach to soil fertility, which increases soil microbial activity. Increased microbial activity creates a healthier environment and ultimately improves plant growth. We work with our customers to optimize their inputs, integrate our products into their operation, and ultimately improve soil health and crop productivity. What Makes SummitGold Different? : Having good products is one thing, understanding how to use them is another. We ensure our customers not only receive quality products,but also understand how to use them effectively in their operation. We know there is no such thing as a magic bullet when it comes to soil and plant fertility products. But we do believe great things can happen when the right products are applied at the right place and time. Why Use Biological Products? : Both science and experience prove to us that the presence of microbes and their activity level determine how successfully a plant will grow in both good and poor growing conditions. Without optimal microbial activity, more fertility inputs will be necessary to produce a similar yield, and will generally result in a measurable reduction in crop quality. Therefore it is no surprise that we assist growers and businesses in learning to rely on the proper balance of calcium based products, biostimulants, and a host of foliar products that help to deliver superior plant health and productivity. The business of agriculture is changing all the time and new agronomic ideas are moving to the forefront. Currently, many notable growers are maximizing their productivity by combining the newest technologies that improve soil biological activity with standard fertilizer programs. At SummitGold we have over 30 years of experience utilizing bio-stimulants. We also can interpret the cationic soil balance of your soils and stop problems that invariably disturb biological growth as well as air/water management. Correcting those imbalances generally insures improved productivity with or without additional input costs.